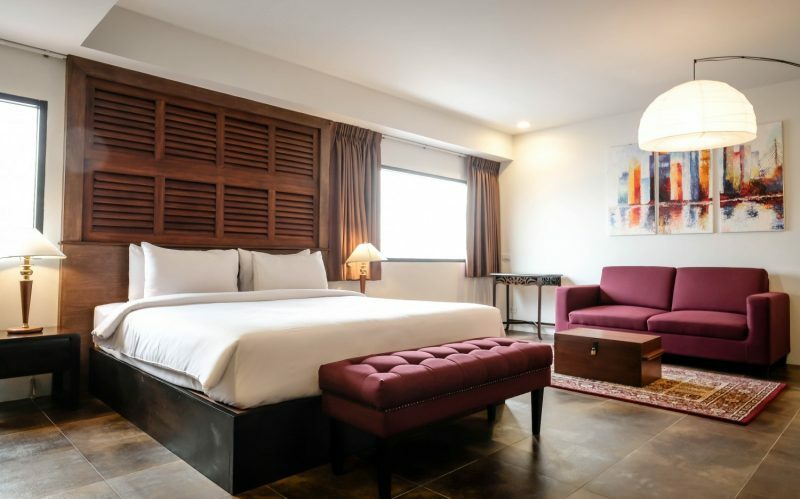 Amid Bangkoks hustle bustle, Nanda Heritage is an ideal budget-friendly hotel located walking distance from the Khao San Road. 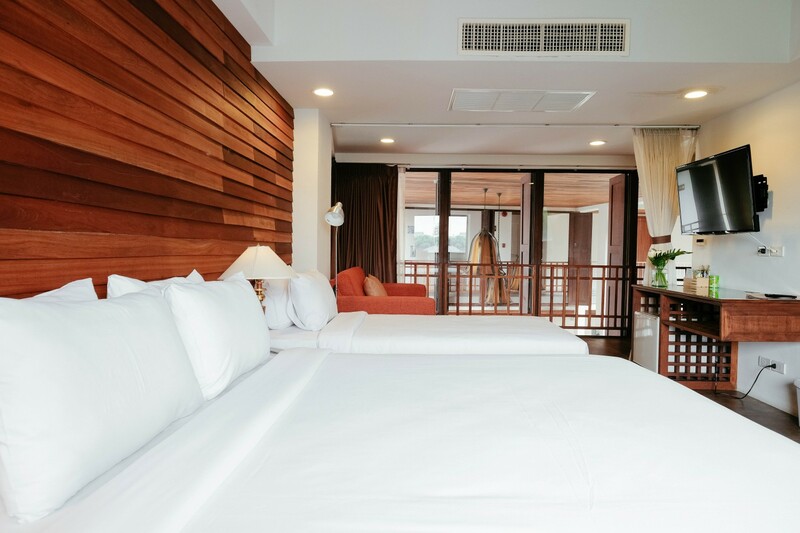 The rooms feature plush bedding and Thai interiors. The hotel offers a buffet breakfast as well. 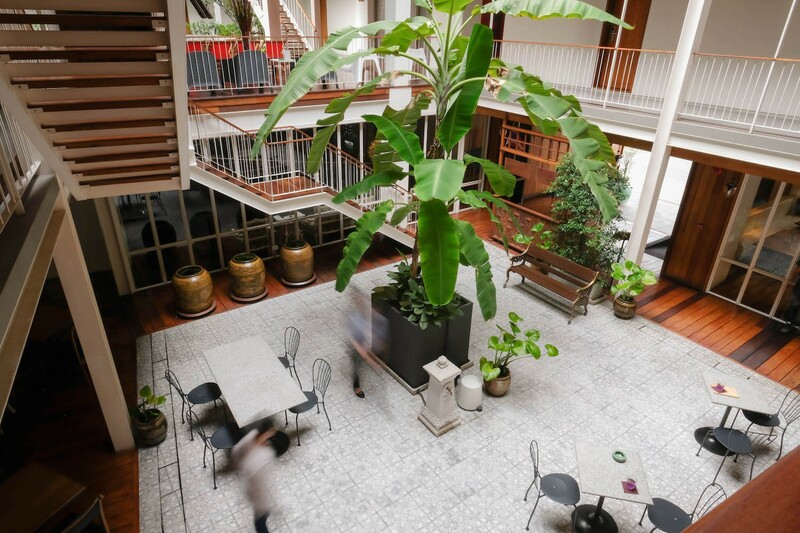 The lovely courtyard leading to the beautiful pool is the highlight of this hotel. 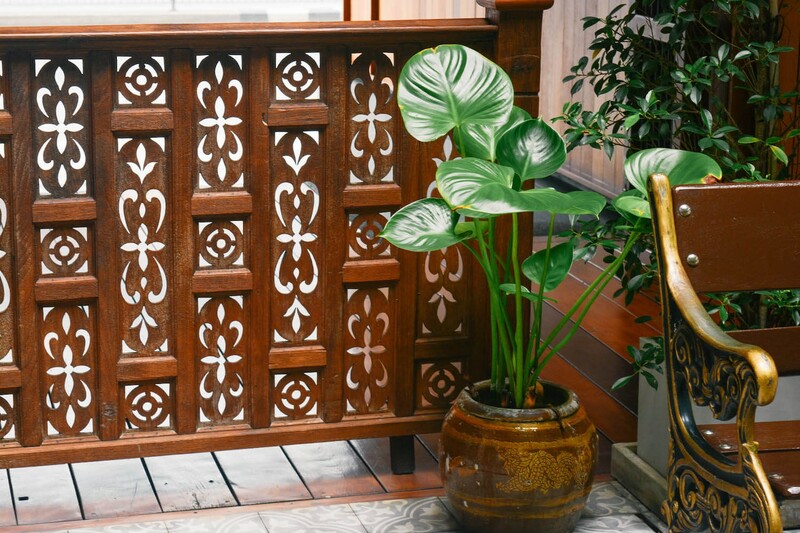 Preserving a tranquil impression, Nanda Heritage Hotel Bangkok is carrying the legacy of great hospitality through generations. 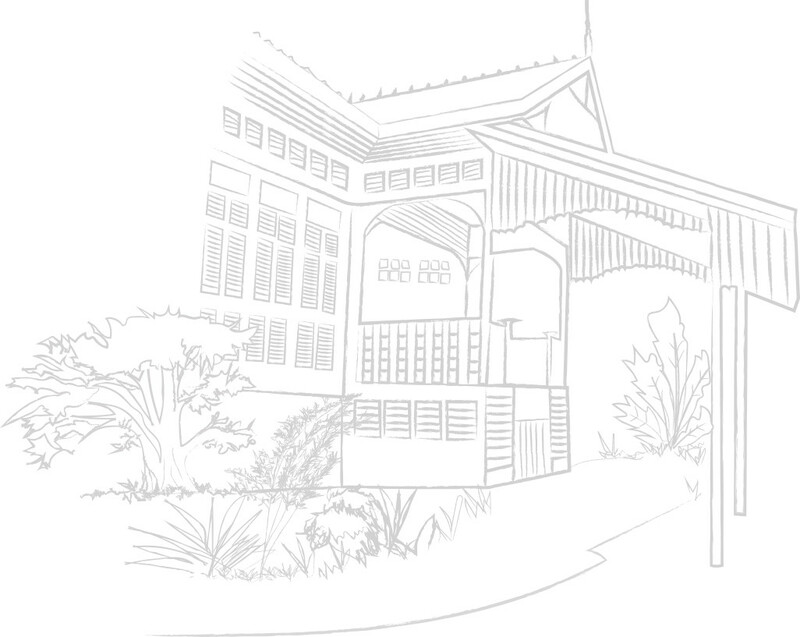 It is located in posh Phra Nakhon area in Bangkok. 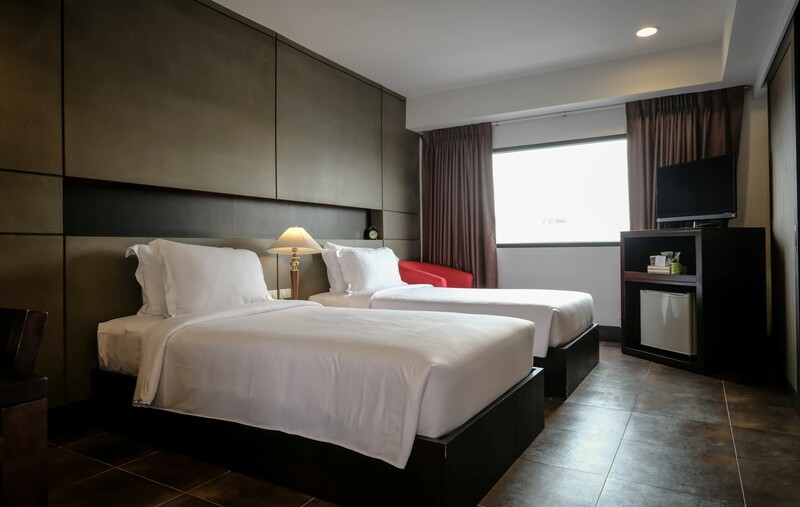 The 3-star hotel is one of the most preferred choices of accommodation in the city due to the classic service that it offers to its guests. The esteemed property is a supreme sanctuary for executives, couples and families in the global city. The hotel is teamed with a professionally trained welcoming staff. 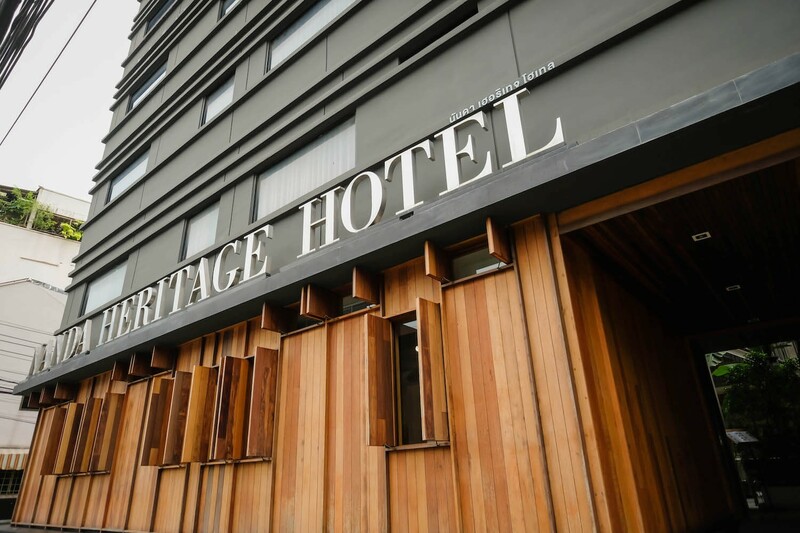 The decor of the classic hotel exhibits an amalgamation of heritage and innovation. Further, it brags a lovely swimming pool, restaurant and a mini library. 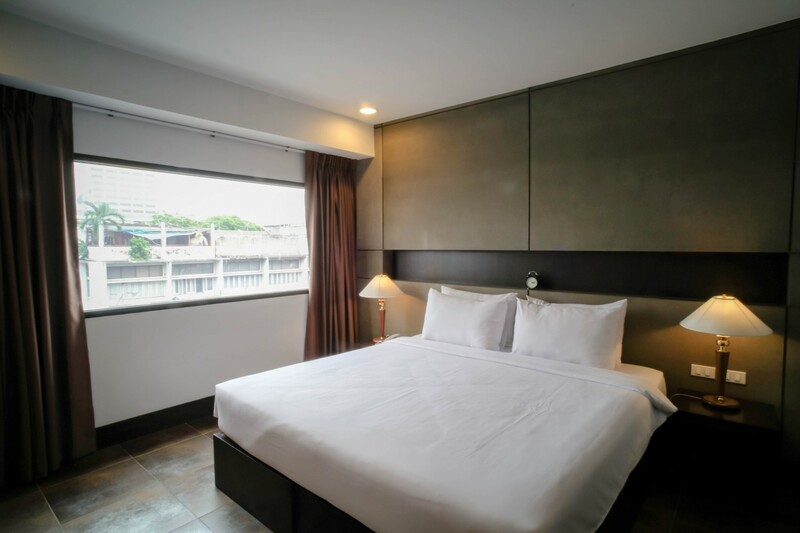 Suvarnabhumi International Airport is a 40-minutes drive away from the place. 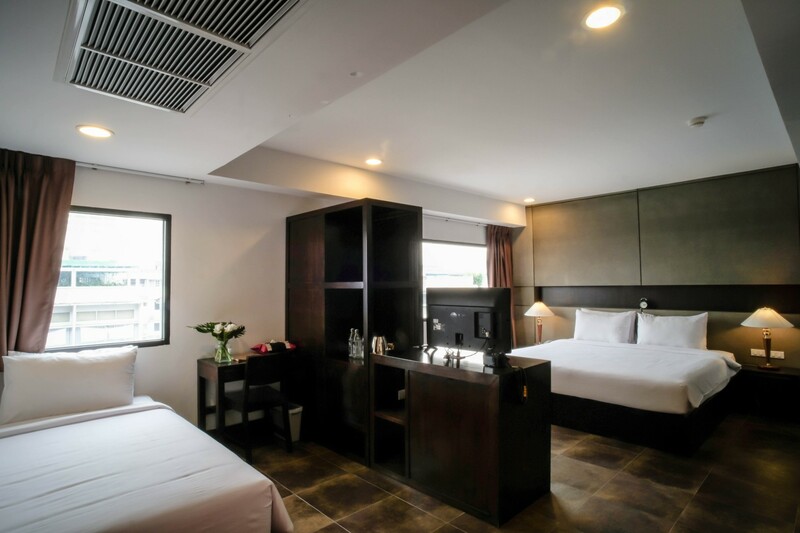 Guests staying in the hotel can visit the nearby attractions like Grand Palace, Bangkok City Pillar, Wat Arun and Temple of The Golden Mount. 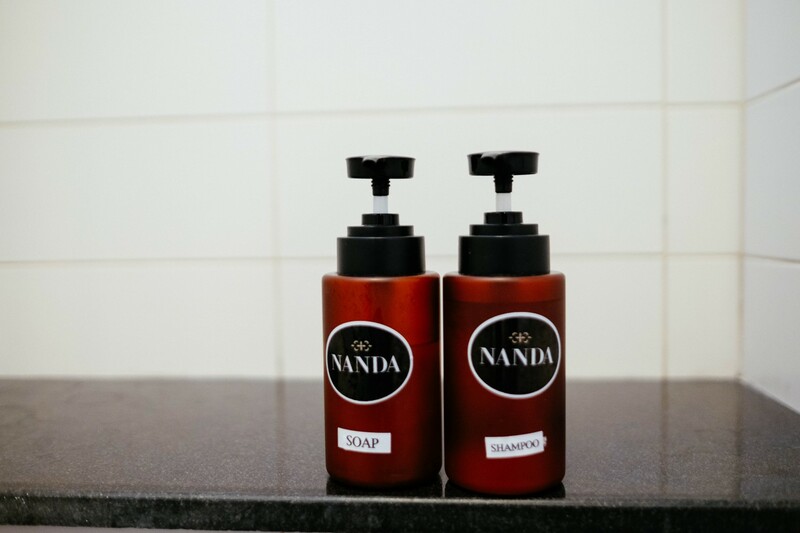 Nanda Heritage Hotel comprises six categories of rooms, such as Superior Double, Superior Twin, Deluxe Double, Deluxe Family, Super Deluxe Family and Suite. 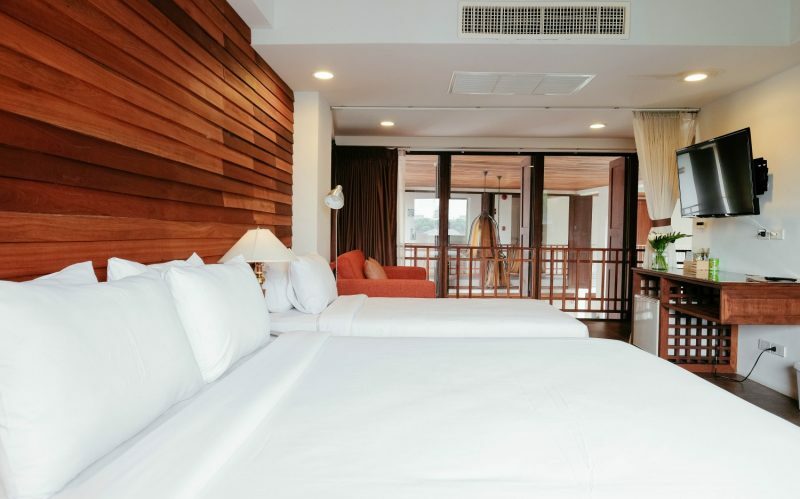 All the rooms are air-conditioned and connected to a free Wi-Fi as per the convenience of its guests. 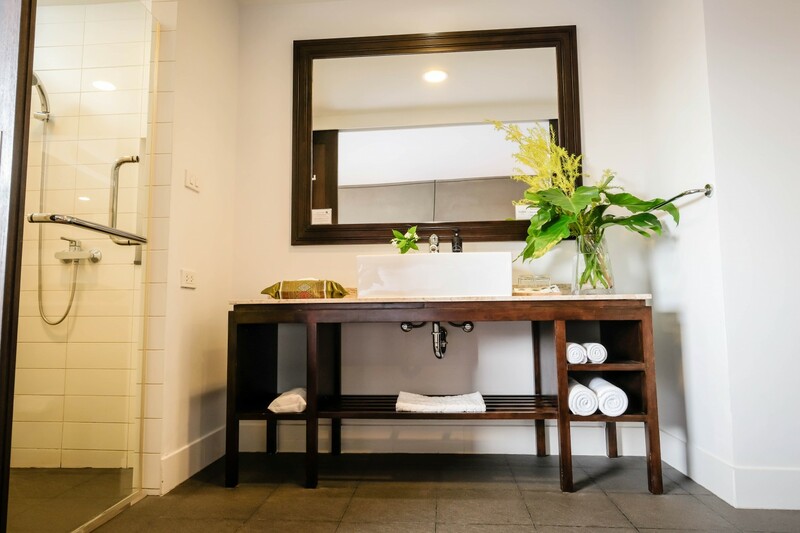 The rooms are featured with large beds, wardrobes, working desk and a safety deposit box. 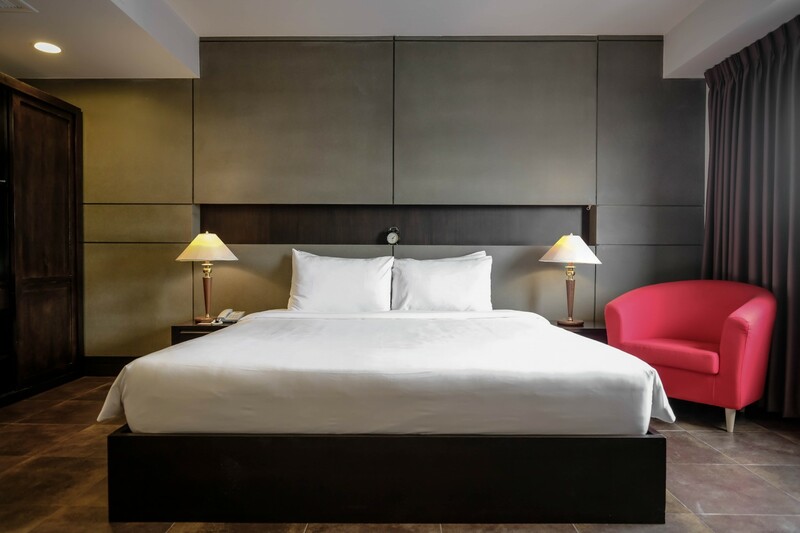 Further, an LED TV with international satellite channels, telephone, hairdryer and a minibar are also provided with every room to provide the guests the best stay. 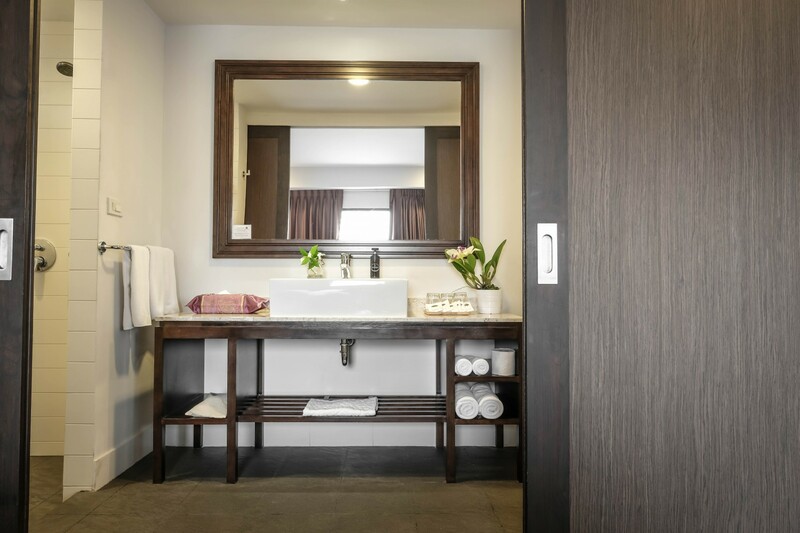 The attached toilets feature shower, bathtub and complimentary toiletries. 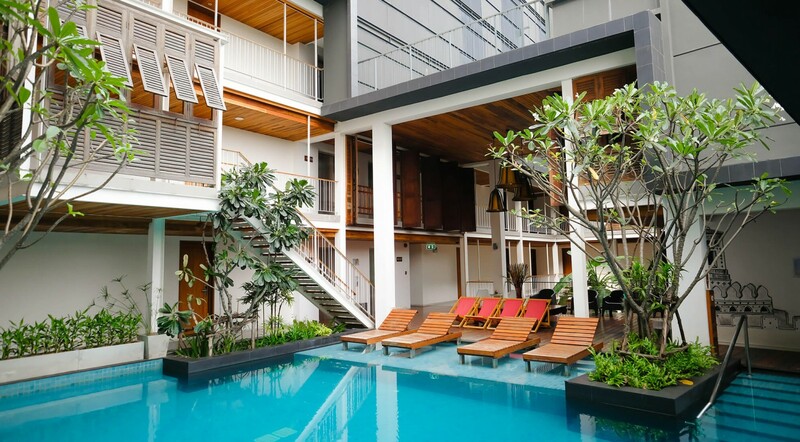 Nanda Heritage Hotel Bangkok features a beautiful swimming pool where guests can relax. Further, one can read some great books that are kept on the hotels bookshelf. 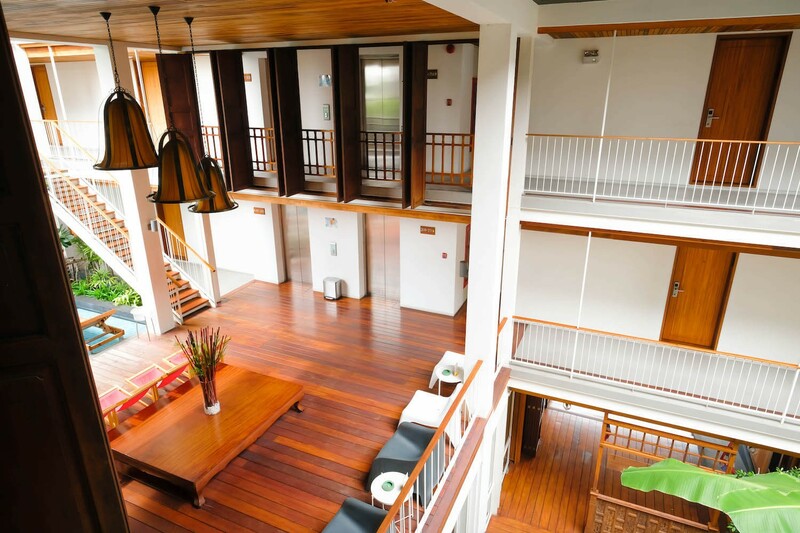 To get a glimpse of the local Thai culture, the hotel offers a free bicycle ride to its guests. Besides, it maintains a tuk-tuk service for the tourists to catch the prime attractions in Bangkok. There is a computer service in the hotels lobby for the convenience of its guests. 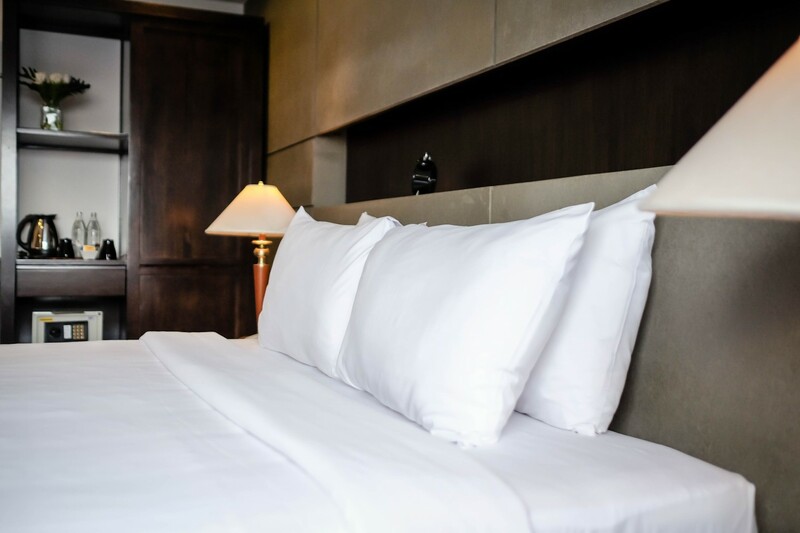 Further, guests can avail laundry & dry cleaning services along with safety deposit boxes. The hotel also provides free parking to all its guests. 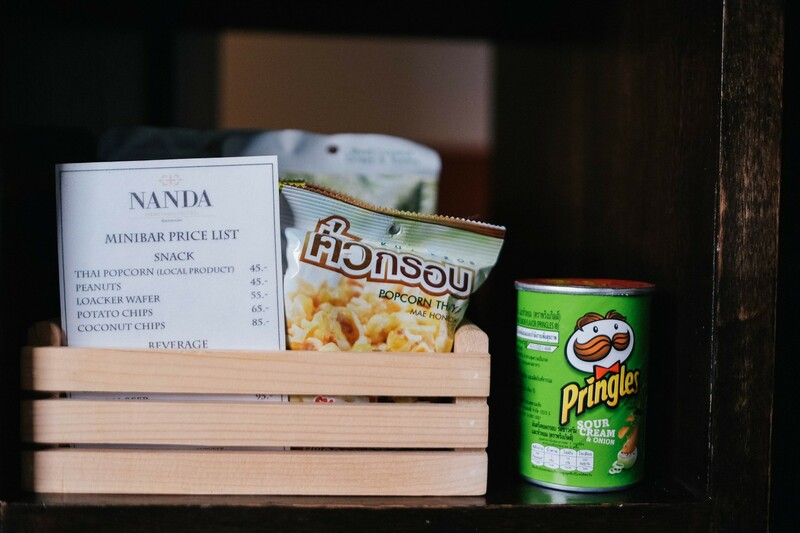 Nanda Heritage Hotel Bangkok serves a complimentary breakfast to its guests. Further, it swanks of an in-house restaurant that offers culinary pleasure to the visitors. 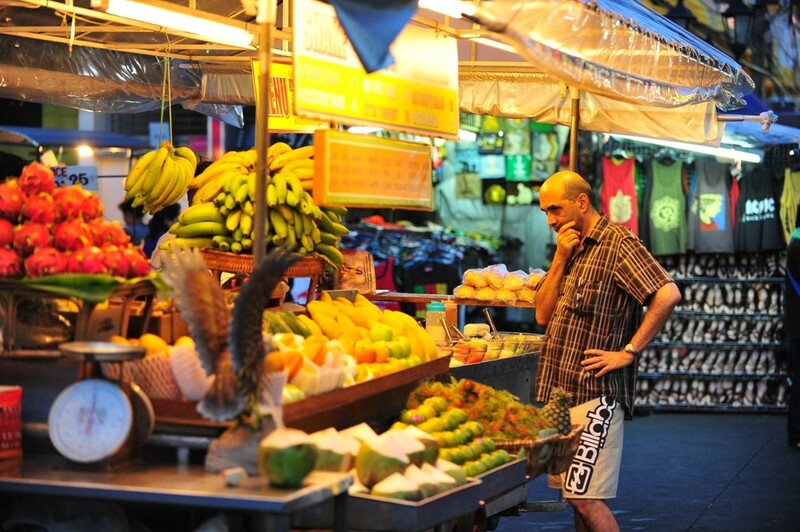 The dining serves an array of authentic Thai and Western cuisines which is prepared by well-trained chefs. The hotel also boasts of a bar that serves sizzling cocktails and mocktails as per the taste of each guest. The on-site coffee shop is set to elevate the the mood of coffee-lovers. Guests who wants to relish traditional Thai cuisine can walk down to nearby Aloha house and Thai Fried Tofu Khun Kai restaurants. 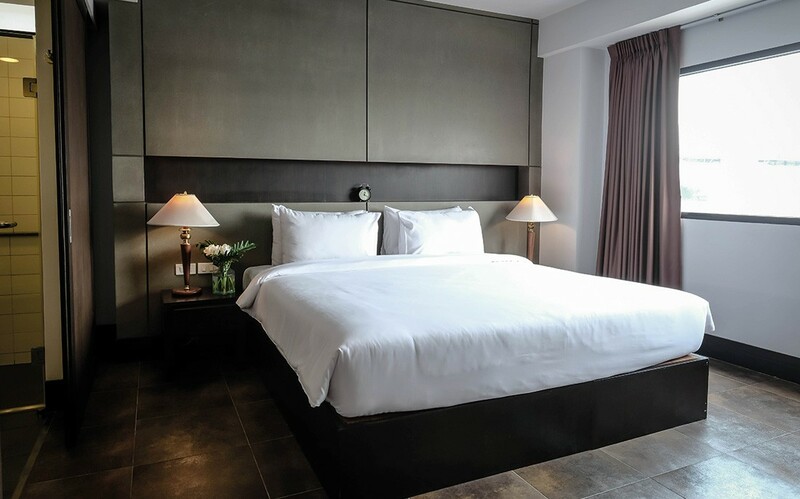 Nanda Heritage Hotel Bangkok offers an ecstatic stay in a blissful atmosphere. 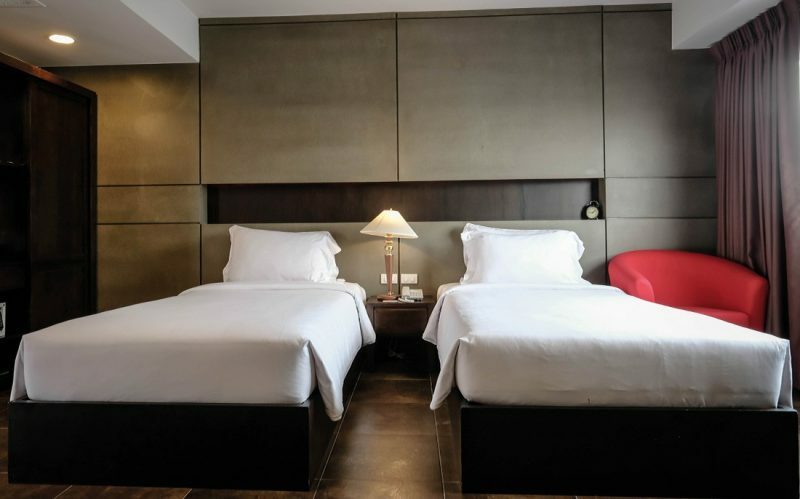 The hotel features a state-of-the-art infrastructure. 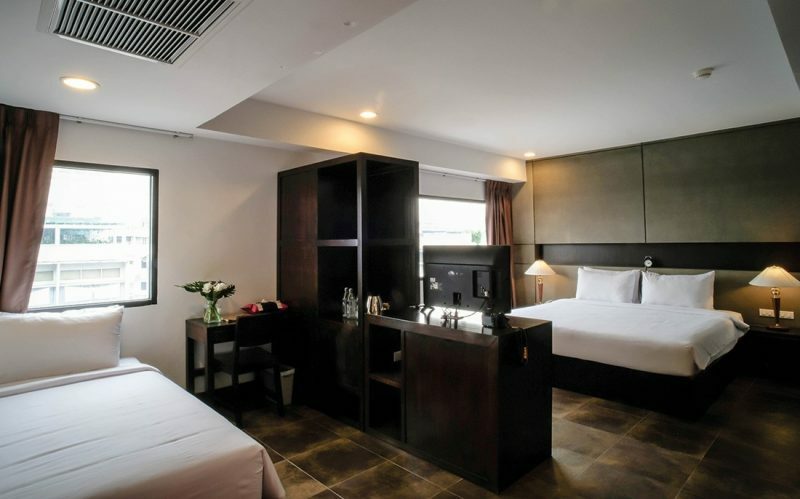 All the hotel rooms are air-conditioned and connected to a complimentary Wi-Fi. 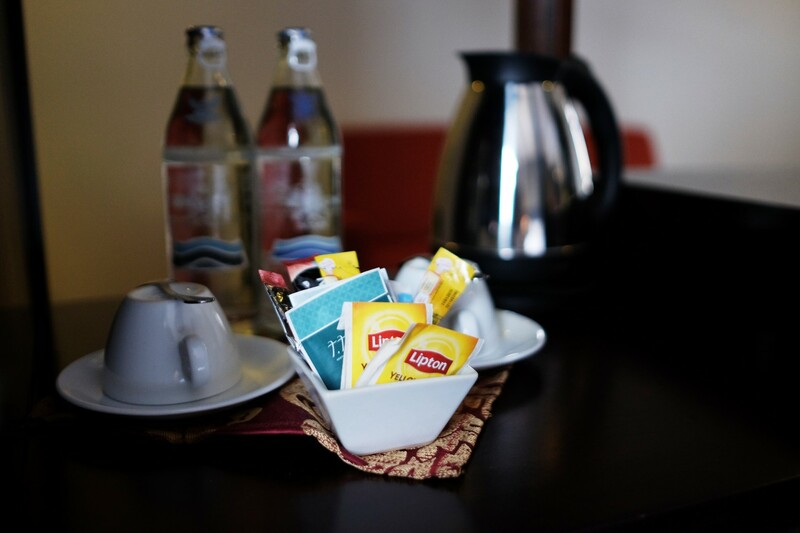 The hotel strives to provide the best amenities and facilities to all its visitors. What is the time taken to reach the international airport from the hotel? 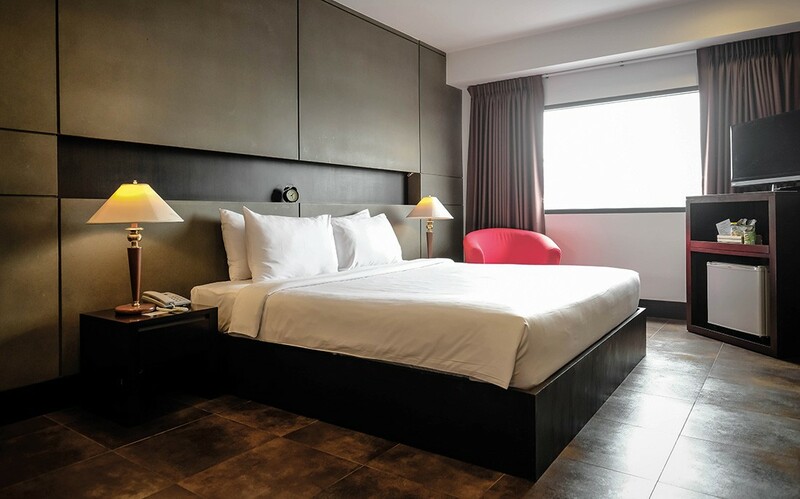 Nanda Heritage Hotel is a 40-minutes drive away from Suvarnabhumi International Airport. 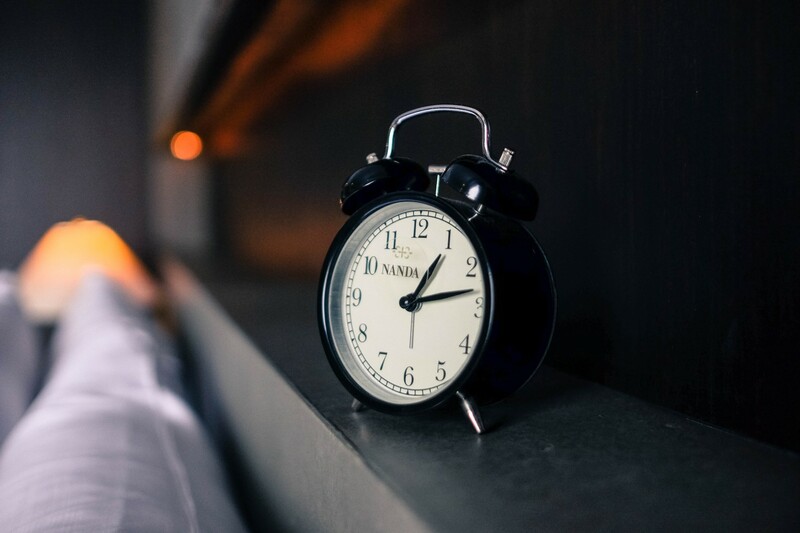 What are the check-in and check-out timings at the hotel? 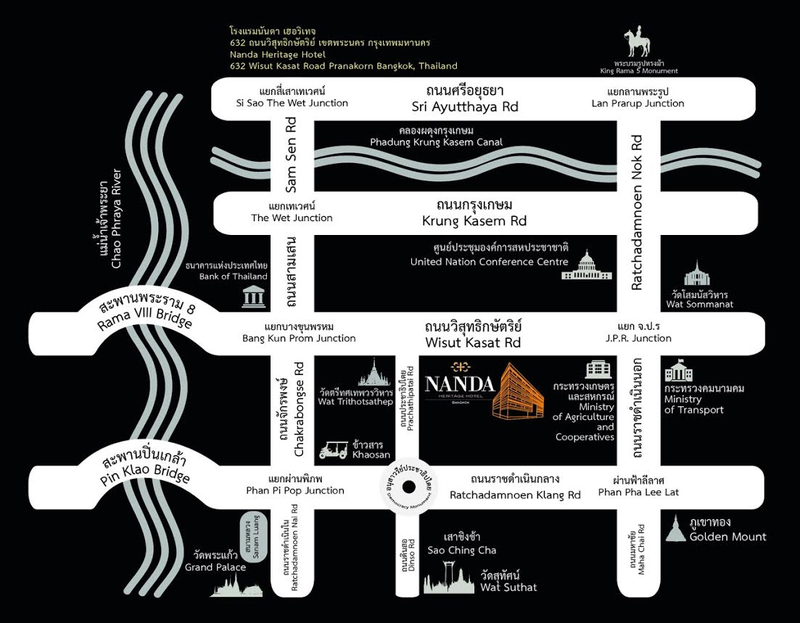 The check-in timing at Nanda Heritage Hotel is 13:00 hours and check-out timing is 12:00 hours. Further, it also offers an express check-in/check-out facility to the guests. 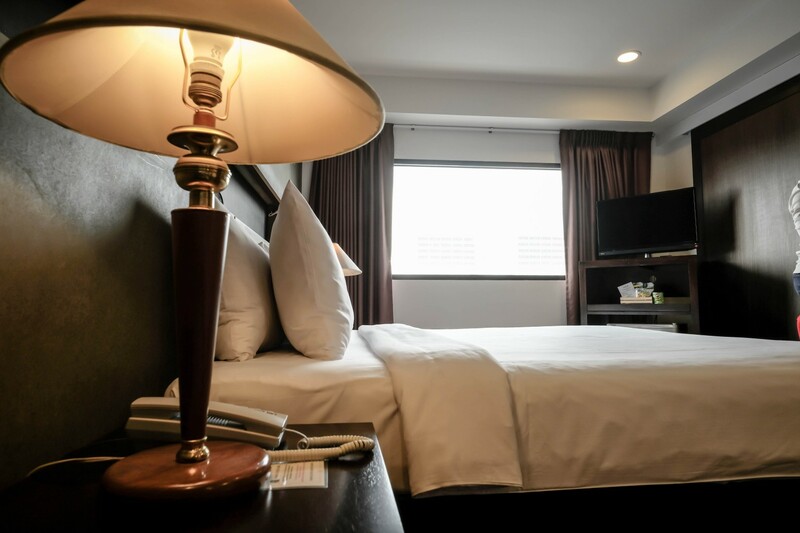 How can the guests enjoy their stay in the hotel? Guests can relax in the swimming pool of the hotel. Further, one can take a bicycle ride to catch the local lifestyle in Bangkok. The tuk-tuk service is offered by the hotel to visit the popular attractions in the city. Moreover, there is a mini library in the hotel for book lovers. Is the breakfast charges included in the room tariff? Yes, the room tariff is inclusive of the breakfast for all guests. Does the hotel provide shuttle service? No, the hotel doesnt provide shuttle service to its guests. 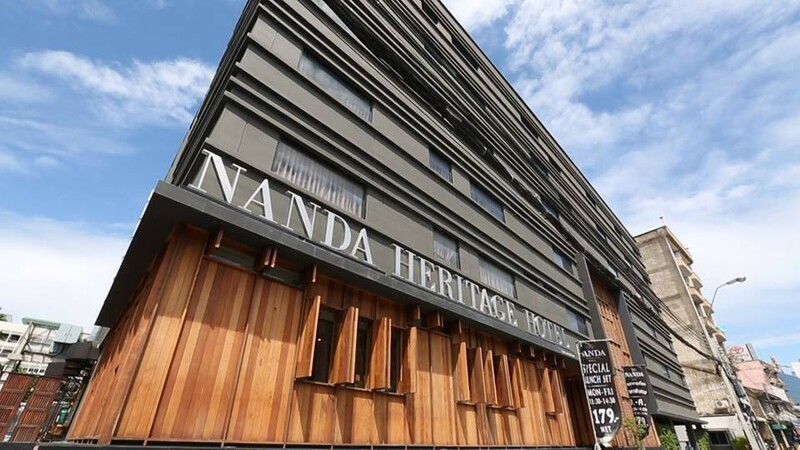 Nanda Heritage Hotel is best known for the outstanding hospitality that it offers to the guests through generations. 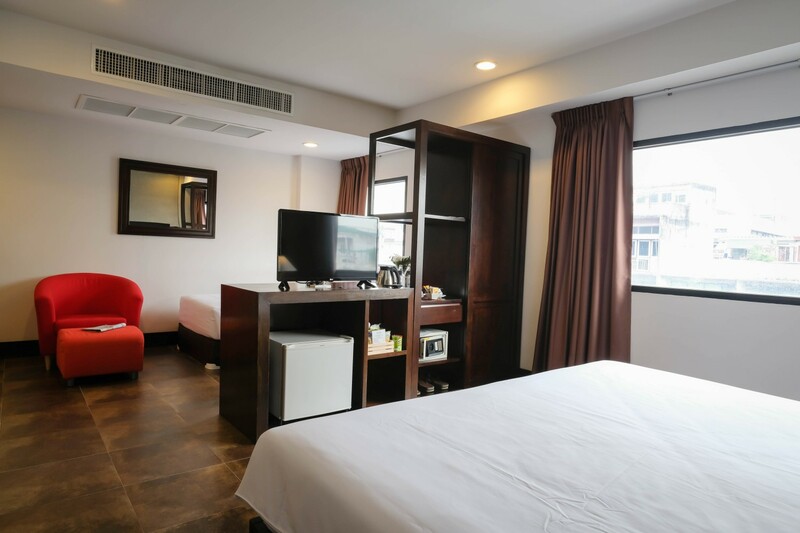 The 3-star hotel maintains a delightful environment and provides a home away from home experience. 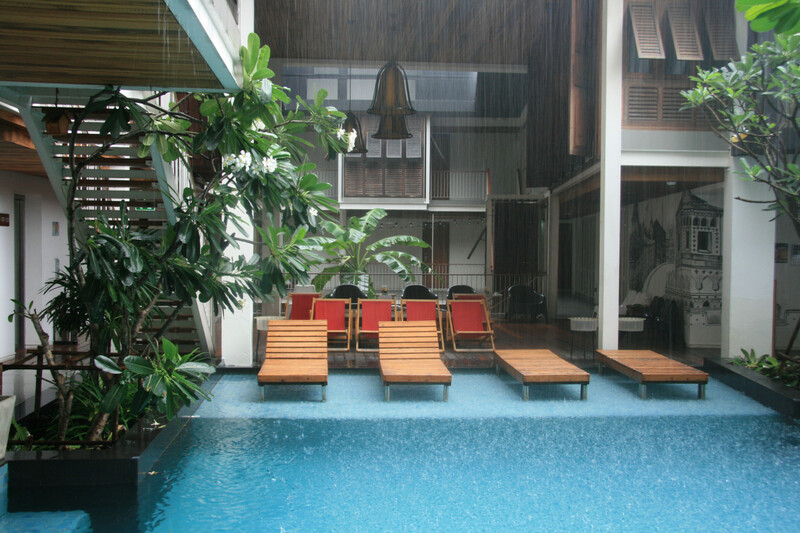 The decor of the interior is fascinating and the hotel features an enticing swimming pool as well. Adding to that, there is a mini library at the property that is considered to be a literary ecstasy for the book lovers. The hotel has six categories of accommodations. All the rooms are air-conditioned and featured with modern decors. The hotel serves a delicious complimentary breakfast to its guests. It boasts of an in-house restaurant and bar that offers gastronomic pleasure and liquor delight. 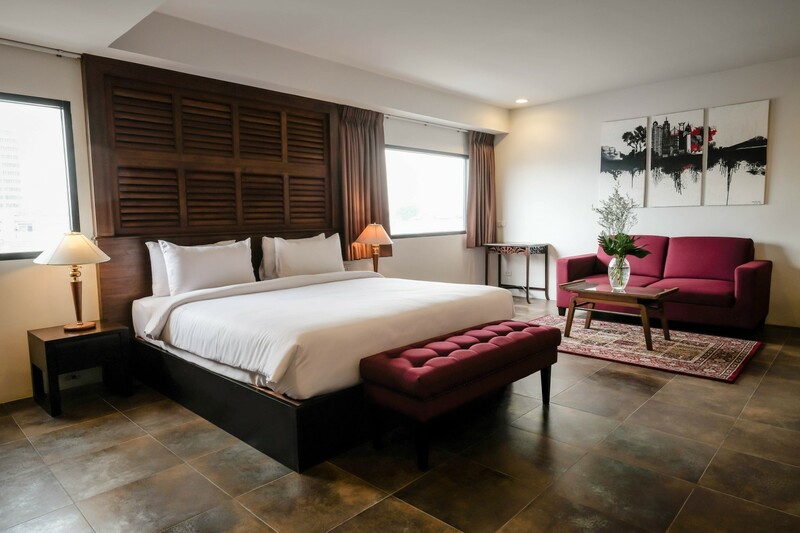 The heritage hotel offers a free bicycle ride to its guests for exploring the rich Thai culture. Besides, a tuk-tuk service is offered to the tourists by the hotel to catch the major attractions in Bangkok. 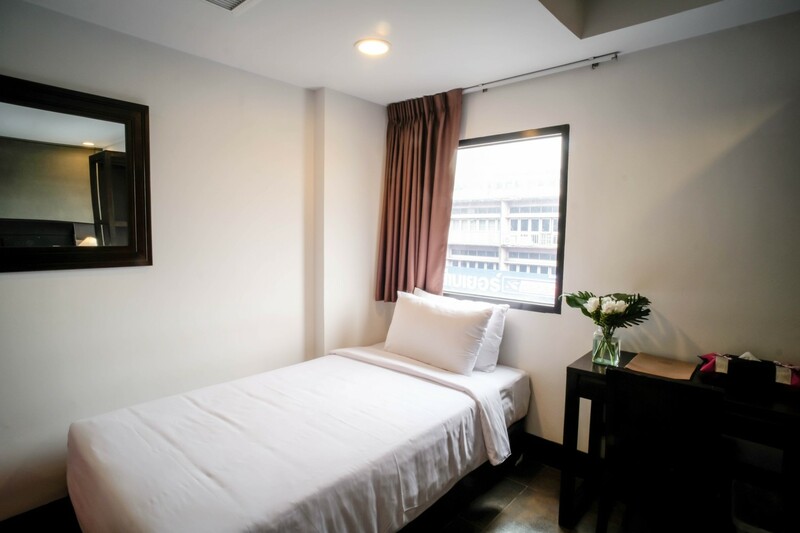 The property is also close to posh Khao San Road. 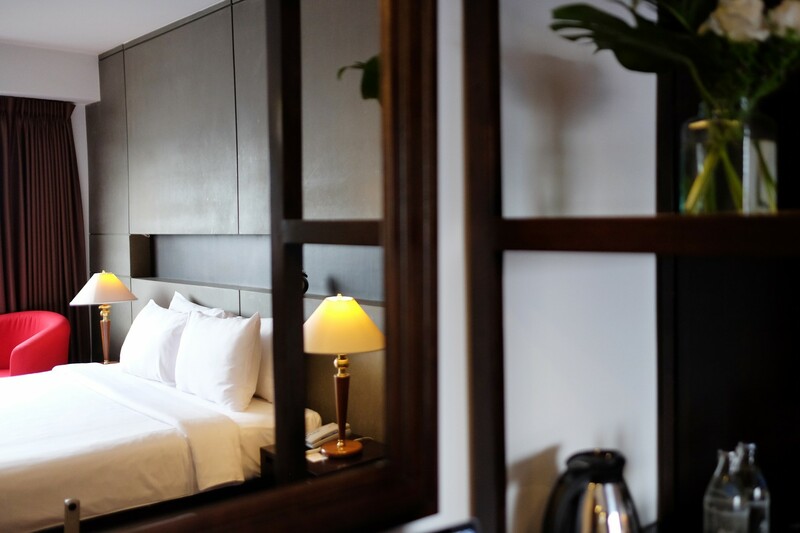 Embedded with the traditional values, Nanda Heritage Hotel presents an elegant stay to the couples, families or business and solo travellers in Bangkok.